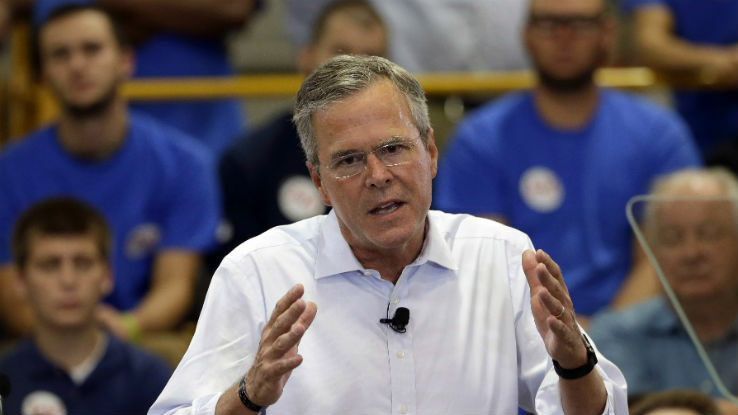 Jeb Bush's proposal to reduce taxes by $3.4 trillion over a decade leaves untouched tax breaks for health care, retirement and life insurance. Still, his proposal to reduce taxes by at least $3.4 trillion over a decade leaves many credits, exclusions and exemptions untouched. Those include breaks for health care, retirement, life insurance, municipal bonds, home sales and child care. The former Florida governor calls for eliminating the deduction for state and local taxes and sharply limiting the mortgage interest deduction. Unlike some previous Republican efforts to revamp the U.S. tax code, Bush doesn’t even attempt to raise enough money from limiting tax breaks to offset the cost of his rate cuts, and that means that plenty of tax breaks aren’t on his chopping block. Many of the U.S. tax code’s benefits aren’t mere subtractions from income, known as deductions. Instead, they are embedded in the definition of what counts as income in the first place. Alternately, they’re credits, doled out to taxpayers as subtractions from the final tax bill. Bush’s plan, released on Wednesday, lowers corporate and individual tax rates, repeals the estate tax and alternative minimum tax and lets businesses write off expenses immediately. He wants to close the fiscal gap that his tax plan creates with spending cuts that he hasn’t specified yet and regulatory changes that he says would spur economic growth. The Tax Foundation and economists associated with the campaign both estimated that the plan would cut federal revenue by more than $3 trillion, or more than 7 percent, over the next decade. Bush’s nod to simplicity and base broadening for individuals is a bigger standard deduction, fewer brackets and a cap on itemized deductions. The cap would limit the tax benefit of itemized deductions to 2 percent of an individual’s gross income and it wouldn’t apply to charitable contributions. Because Bush’s plan would repeal the state and local tax deduction, the main effect would be to end the mortgage interest deduction for many people. At the same time, Bush would repeal an existing limit on deductions. People with very high incomes and relatively low deductions as a percentage of income may benefit more from deductions under the plan. That includes Bush, who lost most of the value of his 2013 deductions to the limits he is planning to repeal, said Roberton Williams, a fellow at the Tax Policy Center in Washington. The cap on itemized deductions, however, doesn’t address many of the largest tax breaks. The two biggest breaks, according to the Tax Policy Center, are the exclusion from income of employer-provided health insurance and the exclusion of pensions and other retirement programs, worth a combined $1.4 trillion over five years. It’s not clear yet what the Bush campaign plans to do with these breaks. “We will address those items as part of a broader look at health care and retirement policy,” Tim Miller, a campaign spokesman, said in an e-mail. The benefits of these often-popular tax breaks vary widely. For example, the top 20 percent of households get about 46 percent of the benefit of the health exclusion and deduction for health insurance for self-employed people. Those same households get about 69 percent of the benefit of a collection of retirement tax incentives, according to the Tax Policy Center. By contrast, the top 20 percent receive just 35 percent of the benefit of the credit for child care and 6.5 percent of the benefit of the child tax credit, which phases out with income. The Obama administration has repeatedly proposed limiting some of these breaks. Its cap on itemized deductions, structured differently from Bush’s, would also apply to health and retirement tax breaks, the student loan interest deduction and the municipal bond interest exemption. As evidence of just how tough it is politically to touch some of these breaks, Obama’s plan has gone absolutely nowhere in Congress since he first proposed a version of it in 2009.